There was a master craftsman who only made dolls; dolls fit for a princess to play with. Every year there was a doll fair in the palace courtyard. All the other artisans at the fair honoured the master craftsman with the respect reserved for the best. When he was almost eighty years old, a new artisan came to the fair. His name was Kishanlal; youthful in years was he, hitherto unseen his methods. The dolls he made looked complete in some ways and unfinished in others. He touches them with paint in some parts and leaves other parts untouched. The dolls look as if they are still being made, as if they will never be completed. Of course, this only strengthens the young people’s resolve. The crowds no longer flock to the old man’s shop. His baskets filled with dolls wait just as people at the river bank wait for the ferry, staring at the other bank. One year passed and then another; everyone forgot the old fellow’s name. Kishanlal became the leader of the doll sellers at the palace fair. His daughter is busy with her chores all day long. His son-in-law makes clay lamps and takes them to sell in the city when his boat is full. The old man does not see that the times have changed, just as he does not understand that his granddaughter is now sixteen years old. The two often squabble like this. It is always about the same thing. The old man then takes his equipment out of his bag and puts his enormous round glasses on. The old man fears his daughter most of all. She rules her world with an iron grasp, everyone is careful about what they do when she is around. The old man was fashioning dolls with all his concentration today; he did not notice when his daughter came walking towards him from behind, her arms swinging busily. When she came right up to him and spoke, he took his glasses off and looked at her with childlike innocence. The old man’s head sank in shame. He sat in silence. The old man kept smiling as he wiped a tear from his eye. The old man seemed to have regained his youth. He would sit under the tree and make dolls. 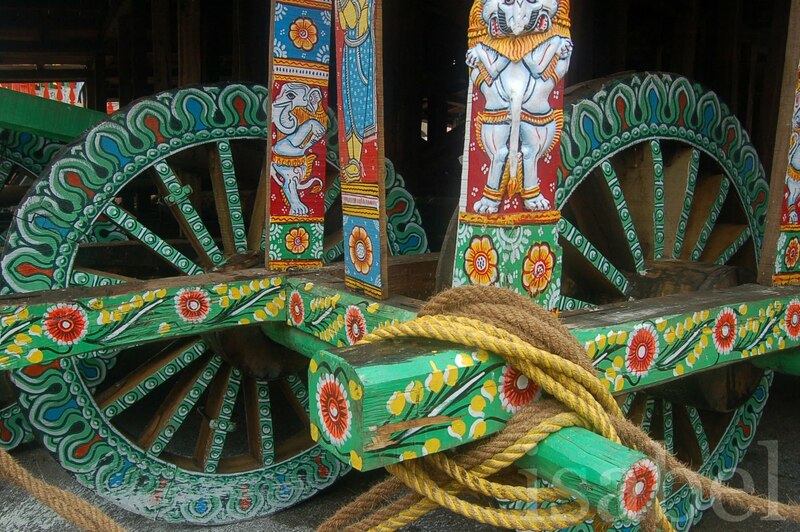 Subhadra would drive off the crows and the bullock would draw water from the distant canal with a wheezing sound. One by one the sixteen coins were strung and the necklace was completed. This entry was posted on April 29, 2017, in Rabindranath Tagore's stories, Short Stories, Short Stories By Tagore and tagged নতুন পুতুল, Lipika, The New Doll.